A unique event space with a beautiful courtyard al-fresco dining area, Kula Cafe Kuantan is well known for their absolutely lip-smacking desserts. Founded by the same people behind Lila Wadi Kuantan, Kula Cafe Kuantan is especially known for its delicious cheesecakes such as the mango cheesecake, seasonal durian cheesecake, dark chocolate cheesecake and white chocolate with Toblerone cheesecake. Kula Cafe Kuantan is definitely an event space that you would want to grace your Instagram feed with its unique design and concept. With the main seating area situated in the courtyard right next to the building housing the bakery and cashier, Kula Cafe Kuantan gives off an urban alley vibe akin to dining at an alleyway mamak, but with a little more class. The event space is decorated with fairy lights, overgrown plants and trees, as well as recreations of famous paintings on the courtyard walls. It is furnished with simple but rustic wooden furniture to finish off the look. 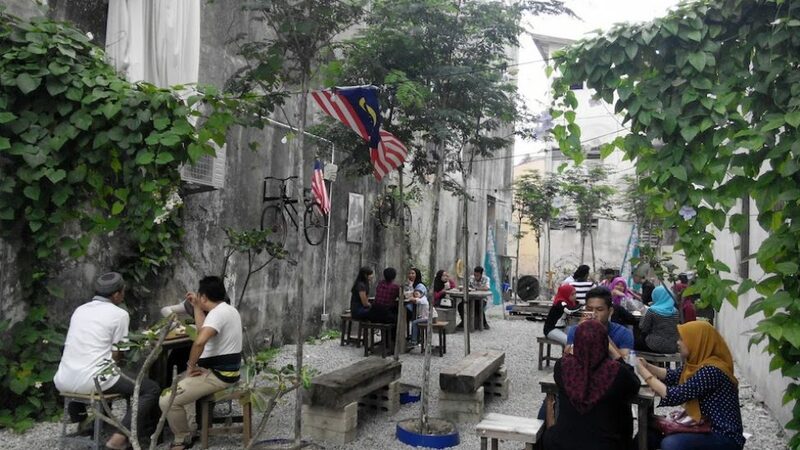 Kula Cafe Kuantan is an outdoor courtyard cafe event space with both indoor and outdoor seating available. This open concept event space is suitable for all kinds of events and parties such as a birthday party, bridal shower, baby shower, engagement party, tea party, proposal, gathering or meet-up with friends and family. Kula Cafe Kuantan is able to accommodate events of up to 100 pax. Located in Kuantan, Kula Cafe Kuantan is situated along the popular Jalan Besar and is easily accessible. Public parking spaces are also available along the street and in the surrounding area of Kula Cafe Kuantan.